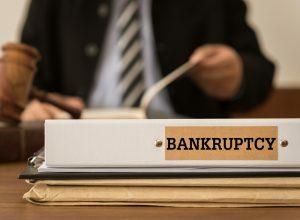 This is the first of a three-part series discussing some of the risks of filing a Chapter 7 bankruptcy liquidation for a business entity. If your company is unable to pay its debts as they come due, you would be prudent to seek the advice of bankruptcy counsel. If you ultimately decide to close the business, bankruptcy counsel may recommend that you file a Chapter 7 bankruptcy for the company. If you decide to file a Chapter 7 bankruptcy for your business, you should determine a logical date to cease operating, and promptly thereafter, file the bankruptcy petition. As the owners, you are required to complete several bankruptcy filings, and appear at a meeting of creditors to answer questions from the trustee appointed to the case as well as creditors, if any appear at the meeting. The trustee takes control of the company’s assets, sells the assets, pursues lawsuits to recover money or property, and distributes the funds to creditors. Fraudulent Conveyances – Actual Fraud. If you caused the company to transfer assets or cash to another person or entity to evade the company’s creditors in the struggle to keep the doors open, it is very likely that the trustee will discover the transactions and file lawsuits against the transferees, and possibly you and others who participated in the transfers. Transfers of property or money done with the intent to hinder and delay the company’s creditors, assuming that the trustee discovers the transfers, would almost certainly be the subject of trustee litigation. Fraudulent Conveyances – Constructive Fraud. Transfers of the company’s assets or property may be avoided and recovered by the trustee even if there was no fraudulent intent to evade creditors of the company. In any given transaction, if the company did not receive fair consideration or reasonably equivalent value, the assets or money conveyed by the company in the transaction may be recovered by the trustee. For example, you caused the company to pay your personal debts and expenses or if you pledged the company’s assets as collateral for a personal loan, the trustee may avoid those transfers, if the Court finds that the company received no reasonably equivalent value in the transaction. Preferential Payments of Antecedent Debts. A trustee may also recover payments made to creditors on “antecedent debts” (i.e., past due debts) that meet a statutory definition of a “preferential transfer.” The trustee does not have to prove that the payments were made with the fraudulent intent to prefer certain creditors who were paid, and evade other creditors who were not paid. The trustee will review transactions in which the company paid past due debts that meet the elements of a preferential transfer within one year immediately preceding the filing date for any transfers (usually payments of cash) to “insiders” (which includes directors, officers and equity holders), and within 90 days of the bankruptcy filing date for all other persons or entities who received any payments from the company for an old debt. Those creditors may have to defend a lawsuit brought by the trustee to avoid and recover preferential transfers received from the company. Joe Bellinger served on the panel of Chapter 7 bankruptcy trustees for the District of Maryland (Baltimore Division) from 1996 – 2017. If you have questions about the risks of Chapter 7 bankruptcy for business entities or any other bankruptcy matters, please contact Joe Bellinger at jbellinger@offitkurman.com or 410.209.6415.